Why is the Hong Kong coast glowing an eerie blue? 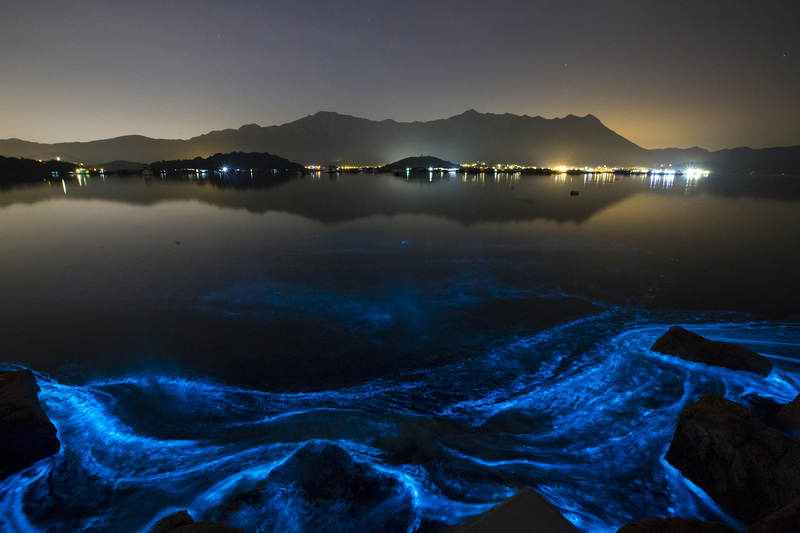 Eerie fluorescent blue patches of water glimmering off Hong Kong's seashore are magnificent, disturbing and potentially toxic, marine biologists say. It looks like algae and can act like algae. But it's not quite. It is a single-celled organism that technically can function as both animal and plant. "Those pictures are magnificent. It's just extremely unfortunate that the mysterious and majestic blue hue is created by a Noctiluca," Joye wrote in an email Thursday. Unlike similar organisms, Noctiluca doesn't directly produce chemicals that can attack the nervous system or parts of the body. But recent studies show it is much more complicated and links them to blooms that have been harmful to marine life. Noctiluca's role as both prey and predator can eventually magnify the accumulation of algae toxins in the food chain, according to oceanographer R. Eugene Turner at Louisiana State University.